lately my huckleberry has had a case of the sniffles. it was so sad. 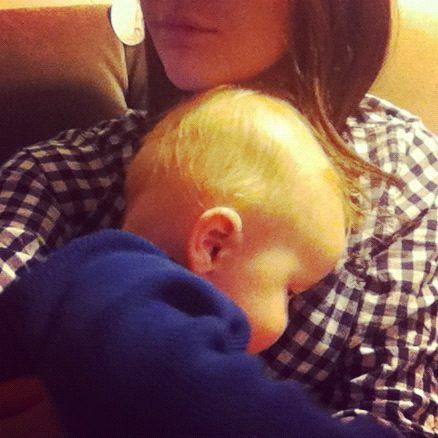 i've heard it said that kids are just walking runny noses from about october through may, and that sick baby snuggles are like heaven on earth, and don't you hate it when those old cliches turn out to be true? 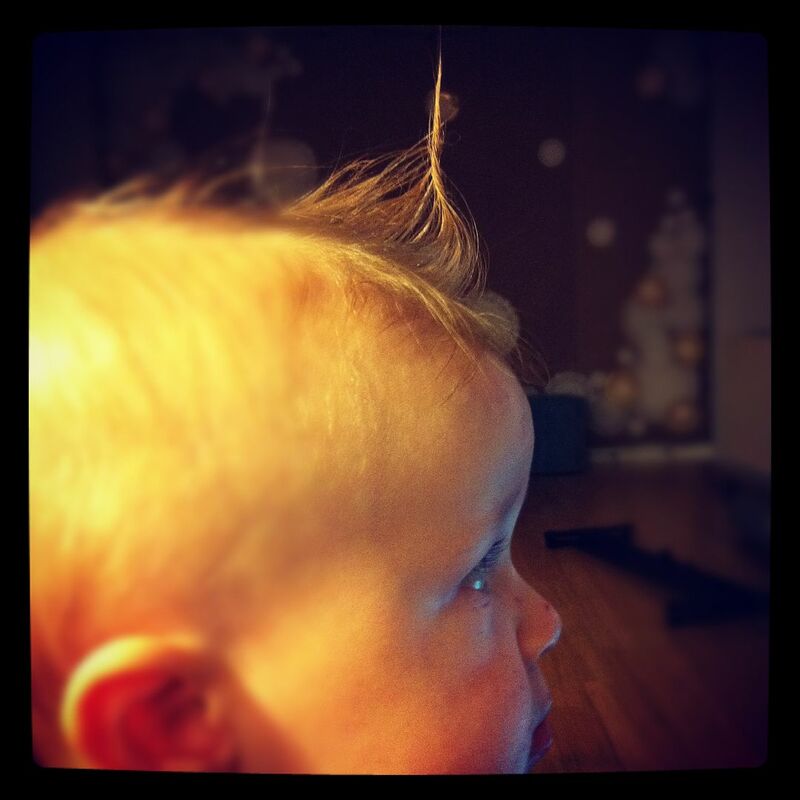 anyway, his is huck modeling his newest do, the unicorn. i would continue enthralling you all with this terribly witty prose on runny noses and sad coughs, except the huckster is insistent upon sticking the laptop charger in his mouth, and you know how that goes. so instead, please to enjoy this hiiiiiiighly entertaining video we made to commemorate huck's first head cold. these are milestones, people. i do not discriminate. i am so glad you are healthy again, hucklebuck! i can only take so much pooh bear! this week i was the featured blogger on my life as a blog. check it out. and my home + garden gift guide. huck is now blogging once a week over at toddler times! here is his first post. Poor sick Huck. He looks miserable. Hope both of you feel better! or get well but pretend you're still sick so the sickie snuggles can continue...either one. i'm glad he's back to being healthy and happy - that was such a cute video :) i woke up this morning with a cold to and its no fun at all! He is adorable. Aw! I hope you both get better soooon! His shoes are fantastic and I love that pic of you two pouting. So cute. haha! He's almost as big as you! He's a cutie. Poor Hucky. Glad he is on the up and up. And, that might be the raddest mom kiddo vid ever. You guys are too cool for school! awww... he makes a great video when he's sick, so he has that goin for him, too! He may be sick but oh so cute!! Fun vid!! Oh oh oh... the sickness. This week we've had 4 cases of strep, 1 sinus infection and 10 gallons of antibiotics. Ew. That picture of Huck wielding the remote looks SO MUCH LIKE YOUR FATHER!!! Go, Randy. I legitimately appreciate the hair. aww, that little grump he did, it's the universal one when sick. The "wah. I want to play and laugh but I just can't." He's becoming a little man. Huck is soooo cute, even when he's sick. I even found myself pouting during the video haha! You just need to know that this video was viewed from a Denver breakfast table this morning, and little Iris would not stop WAVING and laughing just to see Huck sitting there. She loves him. You two are adorable...I love ya in that video. Poor guy, I can hear his sickies in his throat. Everett got a little ick in his throat after they gave him his flu shot. Dern things. Be still my heart...that video was so cute!